This year’s Kielder Vintage & Classic Vehicle Show organized by the Forestry Commission has gone wild! 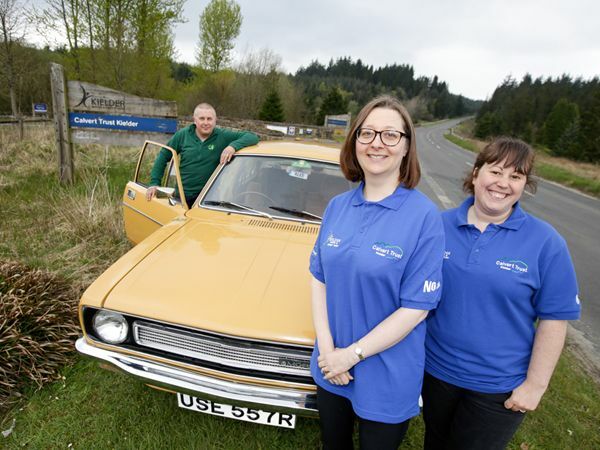 Celebrating its eleventh year, around 200 historic vehicles will descend on Kielder Water & Forest Park and join the Wild at Kielder Festival Weekend, on Saturday 13th and Sunday 14th May. The Wild at Kielder Festival will host a range of wildlife events delivered by organizations including Northumberland Wildlife Trust to celebrate the wonders of nature in one of the most tranquil areas in England. Events will take place at Kielder Waterside, Bakethin Nature Reserve and Kielder Castle. Visitors can choose from wild food foraging courses, dark sky and star exploration, wildlife cruises, wildlife survival workshops, family fun interactive strolls, alpaca walks and much more. The Vintage & Classic Vehicle Show, which runs from 10am until 4pm on Sunday 14th May, will have a spectacular array of classic and vintage cars from yesteryear, offering visitors a nostalgic glimpse into the bygone era of motoring. Visitors will be able to marvel at all types of motorized transport, from the legendary Ford Model T to the 1970s Morris Marina. Alex MacLennan, who is the Recreation & Public Affairs Manager for the Forestry Commission for the North East and one of the classic car event organizers, will arrive at the show driving his 40 year old beloved Morris Marina, having come directly from the Inverness Highland Classic Vehicle gathering. With 62,000 miles on clock, Mr. MacLennan’s car, which he has owned for nearly 30 years, has been with him all over the UK and now does around 1,000 miles a year. The Marina has a mixed reputation – and was regularly featured as a figure of fun on the BBC’s Top Gear programme, where the presenters found a series of ways of destroying the car. In support of this historic road trip Mr. MacLennan is raising funds for Calvert Trust Kielder and the Highland Hospice, donations can be given to either charity by going to www.justgiving/alexmaclennan. For more information about either the Wild at Kielder Festival or the Kielder Vintage & Classic Vehicle Show, go to www.nwt.org.uk/wildatkielder or contact Kielder Castle on 01434 250209. Entry to the Vintage & Classic Vehicle Show is free, parking charges apply. The Wild at Kielder Festival also has a number of activities which are free of charge.